Stratfor taps into a worldwide network of contacts and mines vast amounts of open-source information. Analysts then interpret the information by looking through the objective lens of geopolitics to determine how developments affect different regions, industries and markets. Stratfor has two core offerings: Online subscriptions and custom intelligence services. Subscribers gain a thorough understanding of world events through access to our analysis and premium regional content, published around the clock. Clients get direct access to our analysts and to our global networks, enabling them to better assess geopolitical risk, make strategic investments and expand into challenging regions. Stratfor's Daybooks are regional compilations of open source material, gathered almost exclusively from non-Western media sources and featuring information largely outside of the English language. While the daybooks are not intended to be comprehensive, their design includes a brief synopsis of significant daily developments, anomalous events and other leading edge indicators. Each daybook item includes a link to the original article as well as analytical commentary on the item's noteworthiness. There are 7 regions upon which content is covered: Europe, Middle East and North Africa (MENA), Former Soviet Union (FSU), East Asia, South Asia, Latin American(LATAM), and Africa. One of the components of the daybooks is to take regional and foreign language press and place it into context with an assessment. Starting packages at $3,280 per user, with many options available. As a part of the expansion of Stratfor's premium content, Dr. Friedman has begun producing a monthly insight piece as a means of directing our intelligence team, which we are making available to subscribers. This is a monthly report written by Dr. George Friedman, forecasting global events for the upcoming month including trends and issues Stratfor sees rising or falling in geopolitical significance. Starting price at $120 per user. Full access to Stratfor’s online publication of global insight and analysis. Discounts apply based on number of users. We publish content on a daily basis on items we define as being geopolitically significant. The major themes are Military, Politics, Economics/Finance, Energy, and Terrorism/Security. We have video and multimedia rich analysis, as well as long form deep dives covering the globe. Starting packages at $1,745 per group, with many options available. The PC 16 report identifies and explores the 16 countries that will succeed China’s faltering economy. As China’s economy begins to shift beyond the low-end manufacturing and export-led model that defined its dramatic three-decade rise, a new group of countries is emerging to assume that role in the global economy. The outlines of this group, what we call the Post China 16 (or “PC16”) are only now coming into focus. Indeed, the specific countries may change and the respective roles each country plays in this next phase of the global economy remain to be seen fully. While movement in two leading indicator industries (textiles and mobile phone assembly) signals the beginning of this shift, many believe the transition is still in its infancy; few if any reliable trade numbers or volumes now exist to plot the contours of this shift. Daily actionable intelligence covering the cartel violence in Mexico. This service works to enhance understanding of region by presenting cartel influence along with business and personnel risk in a package of daily activity alerts along with weekly intelligence summaries, executive level quarterly interactive webcasts, and quarterly cartel reports. The service this is an ongoing monitoring relationship with information gathered from OS and HUMINT collection. Starting price at $1,499 per user. In-depth daily feed that aligns with your countries of operations and investment initiatives. 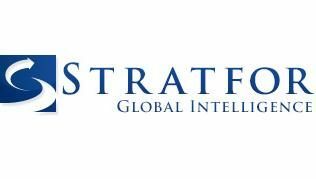 Stratfor experts interact daily with your organization via keynote speeches, panel discussions, of focused work groups. Custom Intelligence to support your global missions and priorities. Each project is backed by in-depth research, intelligence and analysis. Comprehensive analysis based on client concerns. Unlike speaking engagements, these briefings require custom research on your intelligence needs. The highest level of access to Stratfor. We leverage our global infrastructure of assets and relationships to help our Strategic Partners identify and act on opportunities – including risk mitigation for those operating in challenging environments. We provide ongoing deal sourcing, connection and oversight for decision-makers in the natural resources, security, and financial service sectors.